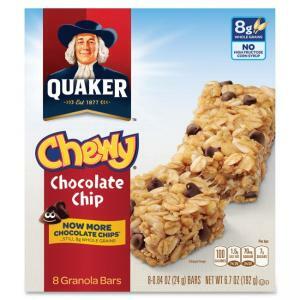 Even more delicious chocolate chips make these Quaker Chewy Granola Bars a tasty option for your active lifestyle. 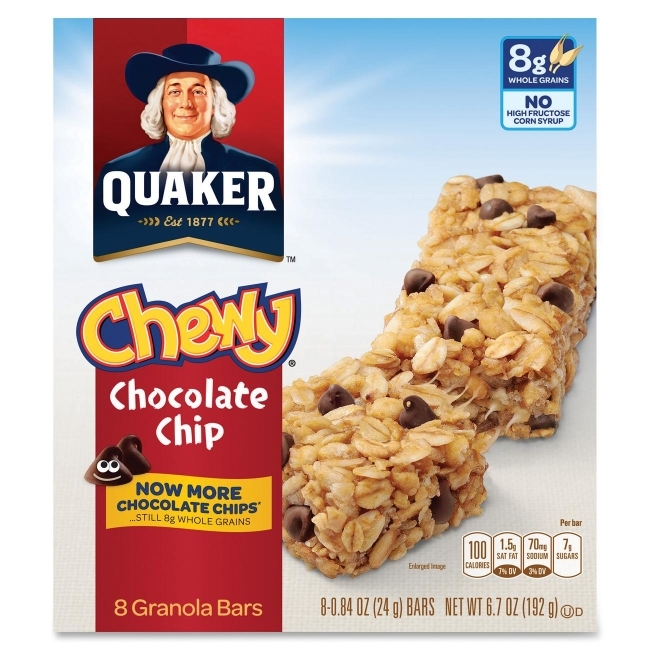 8 grams of whole grains in each chocolate chip bar deliver a tasty choice that helps keep you going. The satisfying treat contains no high-fructose corn syrup. Individual wrapped bars are perfect for breakrooms, your desk or travel.